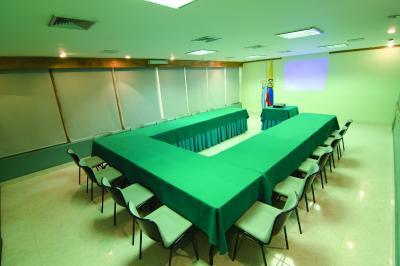 Lock in a great price for Hotel Be La Sierra – rated 8.1 by recent guests! location was the best thing about this place. balcony was great, with a great view. 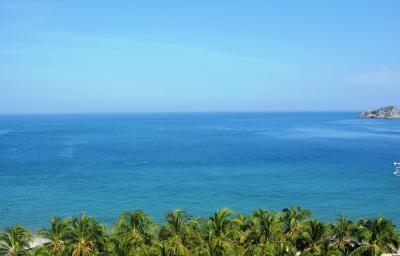 centrally located in El Rodadero, with a quick 10 min drive to central Santa Marta. good restaurants nearby as well. All employees and staff members were extremely kind and attentive made us feel at home. :) Food service in restaurant was great and breakfast was amazing! Location was perfect across the street from the beach and near shopping and bakery next door. Mall is a few blocks away very nice. Room service was great room was always clean! Hot water works! AC in separate bedroom works great! Nice view from our hotel room,close to shops and resturants. The only good things ware the staff and the view. No more. We were upgraded on the 2nd night to a ocean view 2 bedroom suite that was pretty nice. The view was the best part right on the strip. La ubicación es estupenda, el personal es muy cálido y facilitan nuestro descanso brindando información acertada; las habitaciones son cómodas y con vista agradable; todos nuestros requerimientos fueron gratamente atendidos. 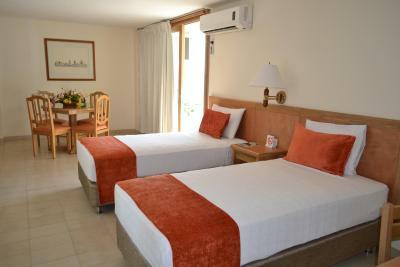 Hotel Be La Sierra This rating is a reflection of how the property compares to the industry standard when it comes to price, facilities and services available. It's based on a self-evaluation by the property. Use this rating to help choose your stay! 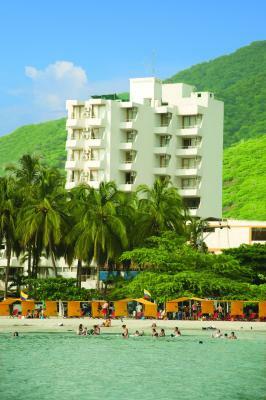 La Sierra is a modern hotel on Rodadero Beach, framed by tropical palm trees and panoramic white beaches. 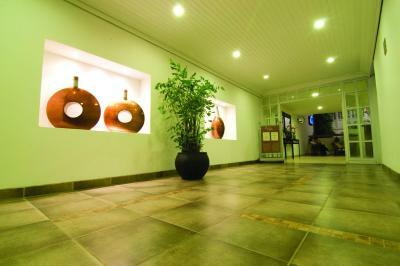 It offers comfortable accommodations with free Wi-Fi, a restaurant and bar. 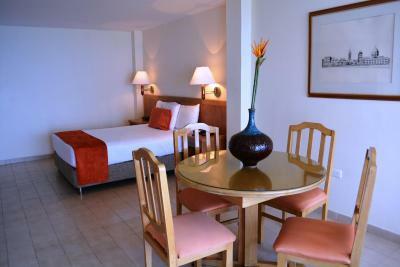 The tasteful rooms at La Sierra Hotel have wooden furniture and complimentary orange décor. 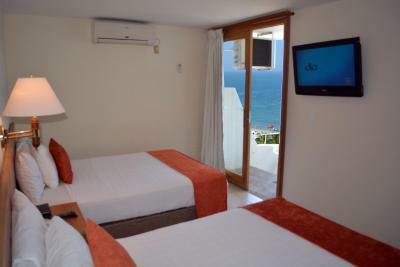 All are equipped with air conditioning, cable TV and a mini-bar, and have queen-sized beds. The tropical themed restaurant and bar serves international cuisine and exotic cocktails. 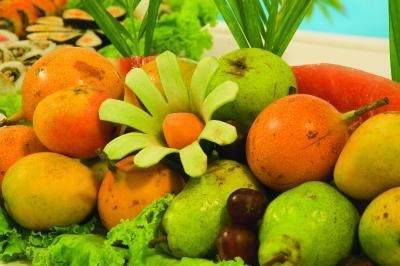 Guests can also benefit from a breakfast buffet with fruit salad, pastries and cakes. 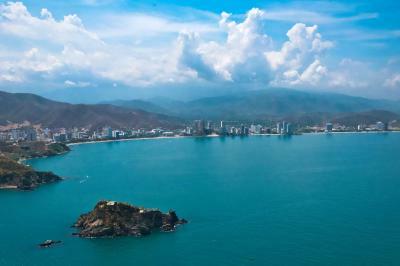 La Sierra is a 15-minute drive away from Simon Bolivar Airport, and a 5 minutes away by car from Santa Marta's historical town center. Guests can inquire at the tour desk about car rental services. 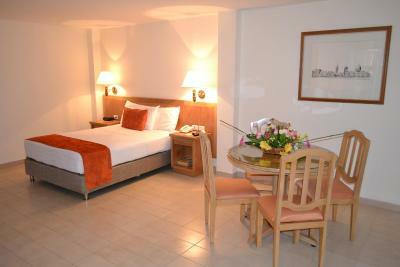 When would you like to stay at Hotel Be La Sierra? 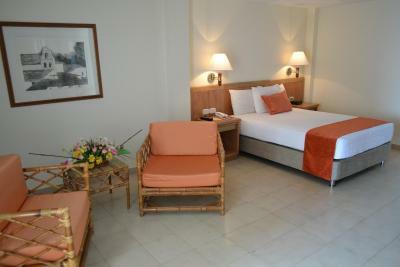 Located between floors 6 and 10, this room offers a sea view. 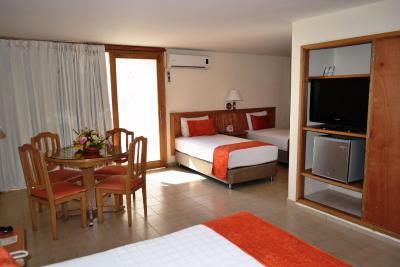 This triple room features air conditioning, mini-bar and cable TV. This family room features a sea view, mini-bar and air conditioning. House Rules Hotel Be La Sierra takes special requests – add in the next step! 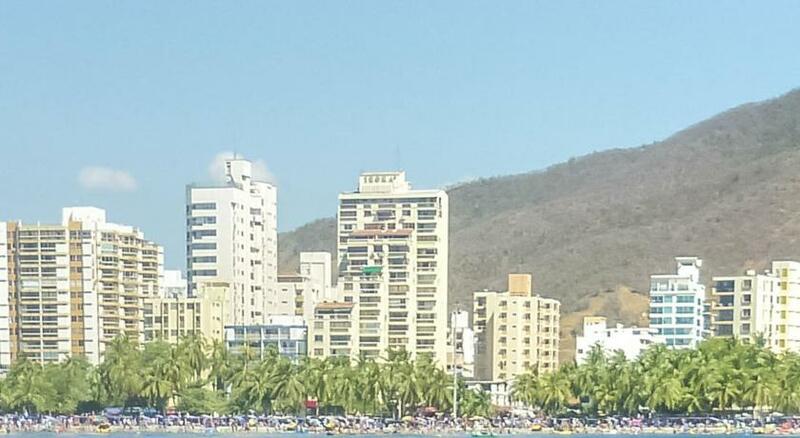 Hotel Be La Sierra accepts these cards and reserves the right to temporarily hold an amount prior to arrival. washroom was much smaller than it seemed, shower was not high enough for a 6' tall person. not very wide either. sink is uncomfortably situated. Small room overlooking a wall. Mediocre breakfast. Mediocre internet. Room 01 second floor Ac in living room was not cold enough. Balcony very very small needs 3 plastic chairs only had 2 Bathroom was very small not good for larger people or handicapped people. ***Stairs not fit for elderly/handicapped people even if elevator works you need to use stairs regardless and my elderly father had a hard time. The internet was horribly slow. Dont even bother if you want wifi it wont work. The room was so overpriced for what it was. Very basic, and not up to date facilities. It was right on the beach.